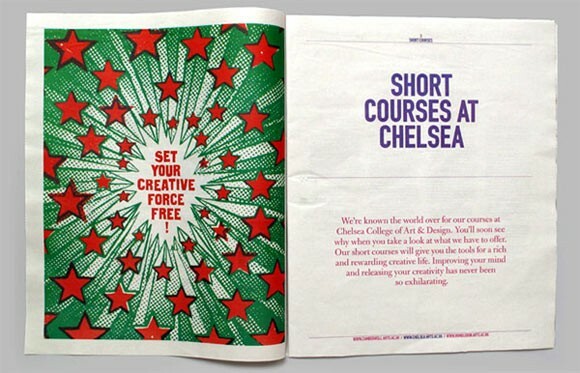 Altpick.com : News : Andy Smith's "Life is Short"
Andy Smith worked on a set of 13 images to illustrate "Life is Short" short course brochure for The University of the Arts London. 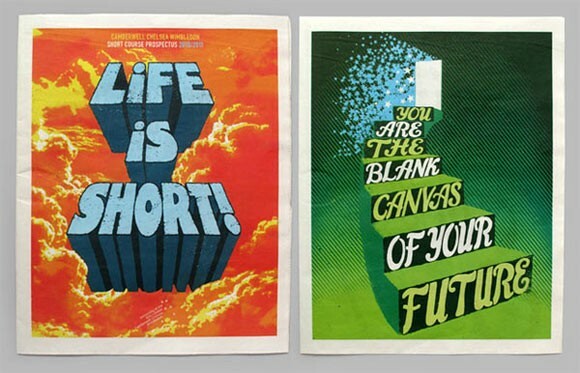 'Inspirational' slogans were illustrated as mini posters in a booklet that was printed up on to newsprint, promotional cards and online. Art direction by Love Creative.